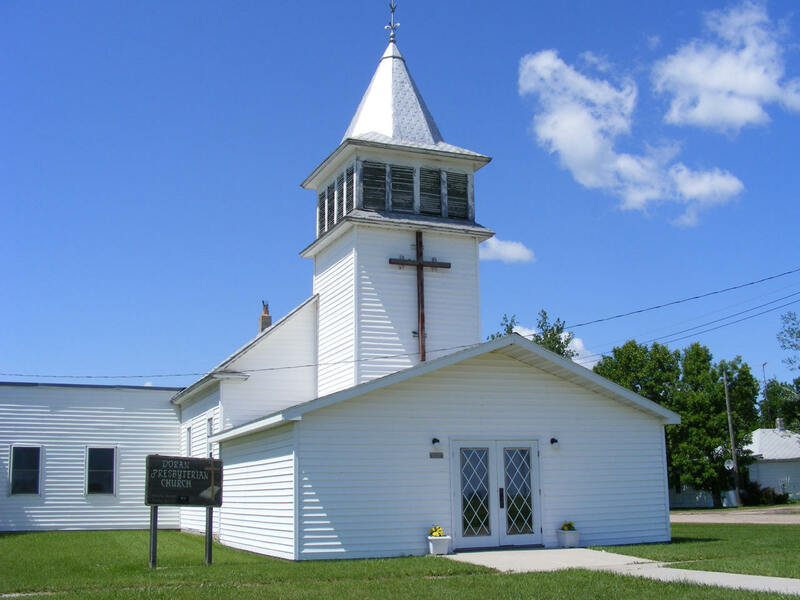 Do you have photos, historical accounts or other items pertaining to the Doran area? Would you like to share this historical information with the world? 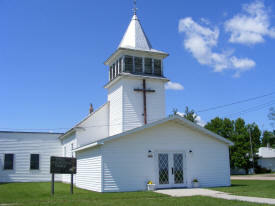 LakesnWoods.com would like to publish your Doran photos (current or historical) or historical accounts on this website. Original materials can be returned and your privacy will be respected. 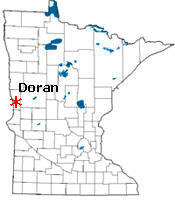 Doran is a city in Wilkin County, Minnesota. 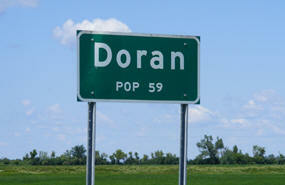 Doran is located at the junction of U.S. Route 75 and Minnesota State Highway 9. 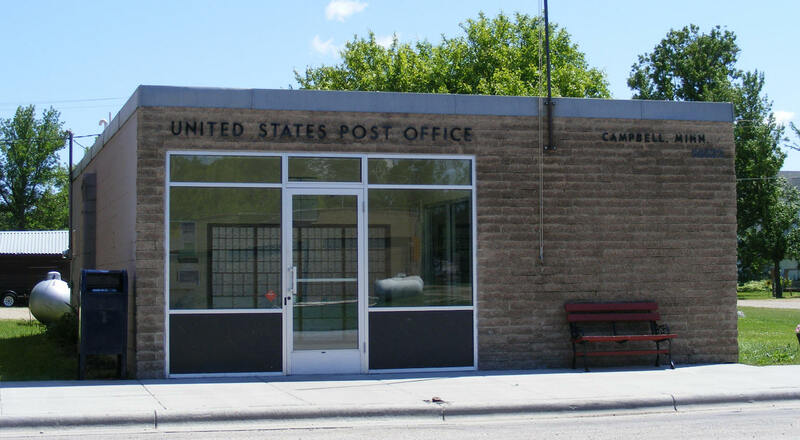 According to the United States Census Bureau, the city has a total area of 0.21 square miles (0.54 km2), all of it land. 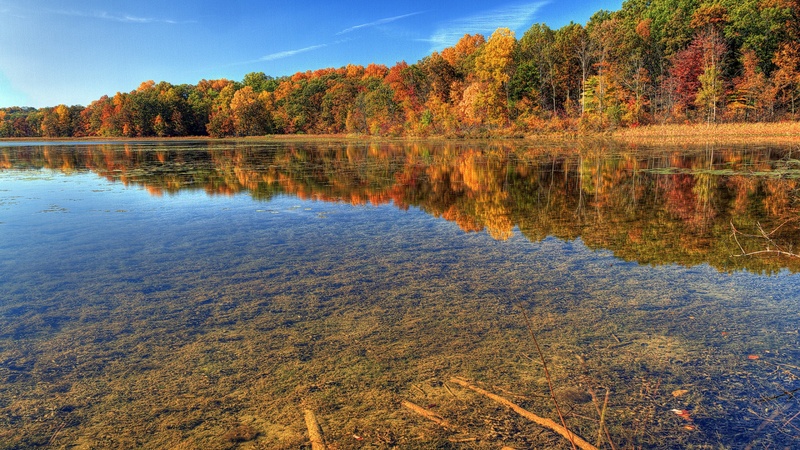 The elevation is 974 ft (297 m) above sea level. As of the census of 2010, there were 55 people, 21 households, and 14 families residing in the city. The population density was 261.9 inhabitants per square mile (101.1/km2). There were 27 housing units at an average density of 128.6 per square mile (49.7/km2). The racial makeup of the city was 100.0% White. There were 21 households of which 42.9% had children under the age of 18 living with them, 42.9% were married couples living together, 14.3% had a female householder with no husband present, 9.5% had a male householder with no wife present, and 33.3% were non-families. 23.8% of all households were made up of individuals and 9.5% had someone living alone who was 65 years of age or older. The average household size was 2.62 and the average family size was 3.21. The median age in the city was 34.5 years. 29.1% of residents were under the age of 18; 5.5% were between the ages of 18 and 24; 23.6% were from 25 to 44; 36.4% were from 45 to 64; and 5.5% were 65 years of age or older. The gender makeup of the city was 49.1% male and 50.9% female. 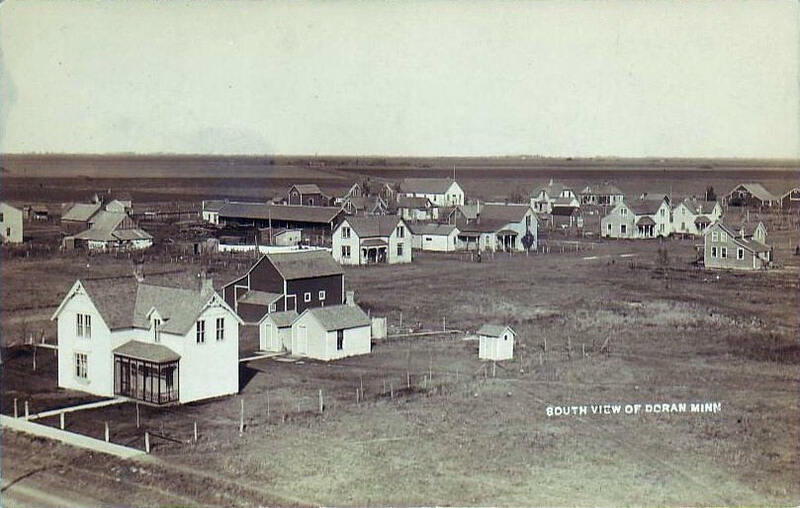 DORAN, a city in section 5 of Brandrup, was named by James J. Hill in honor of his friend Michael Doran of St. Paul, who was born in County Meath, Ireland, November 1, 1829, and died in St. Paul, February 20, 1915. 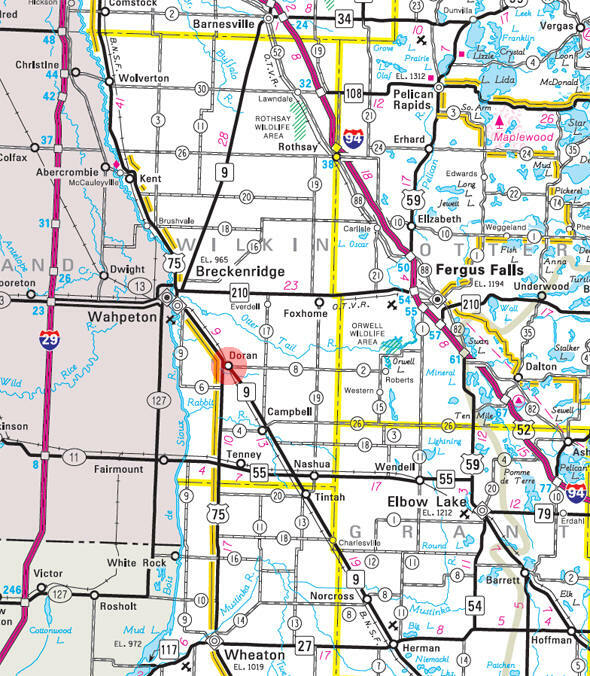 He came to the United States in 1850 and in 1856 to Le Sueur County in this state, where he engaged in farming and banking; removed to St. Paul in 1877; was a state senator, 1871, 1875, 1876-79, 1883-85; and died in 1915. 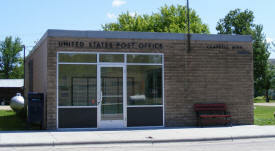 The city was incorporated as a village on July 8, 1907; the post office opened in 1892.